If your home or commercial property has been flooded, your first priority is safety. Stay away from the area until it's safe. When starting the cleaning and restoration process after a flood, removing all the damaged furniture and carpets is a good place to start. Wearing gloves and other protective gear (PPE) is a moral imperative when doing any clean up or restoration. One must always wash hand frequently. Remove all wall coverings and throw them out. Remove affected drywall, porous materials and insulation that's been in contact with flood waters. Be careful And watch every step to prevent falls. Be caution around appliances and electrical equipment. 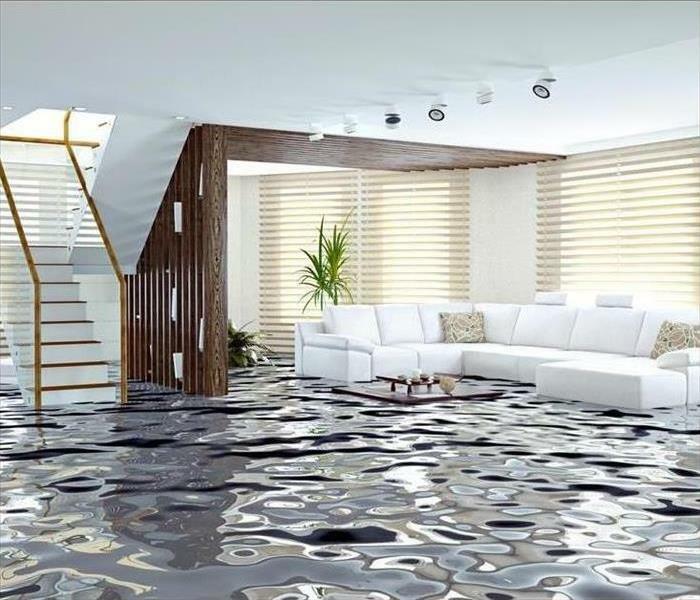 For any concerns and question about clean up restoration after a flood or water loss contact SERVPRO of Katy/Cypress, the experts in all types of restoration. When explaining to someone about why SERVPRO is a more superior company, I always bring up our 1,4,8 policy. Its one of the promises that we give to the fine people of our community. The policy states that within one hour from notice of your loss, we here at SERVPRO of Katy/Cypress will contact you to arrange for services. Then, within four hours of your loss, we will be on site ready to start mitigation services if the loss or job requires it. Finally within eight business hours a briefing of the scope will be presented to you by one of our SERVPRO professionals. This policy insures that we communicate with our customers and insurance representatives, like agents and adjusters, while making sure that we are on site with actuate information to begin services as soon as possible. 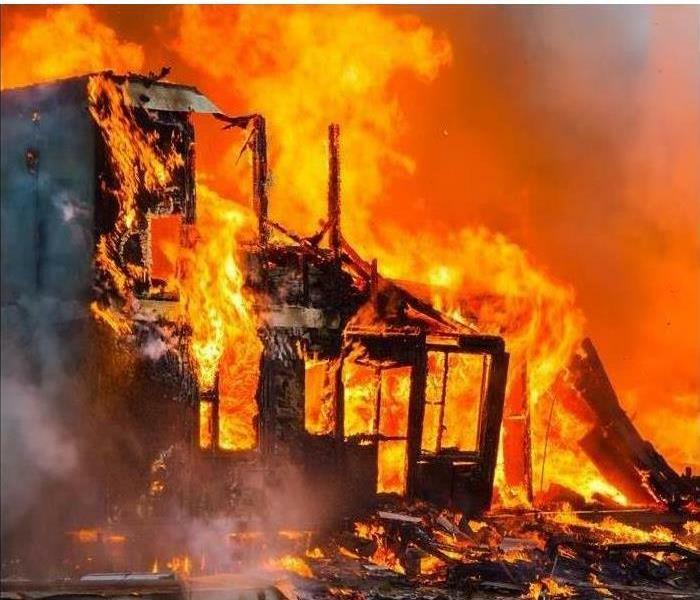 When fire and water cleanup is required, getting assistance is now faster and more efficient when it come to using our Emergency Ready Profile or (ERP). The Ready Plan is a preparation tool for home and businesses owners. What does it do, and how does it work? It Increases our response time and helps us here at SERVPRO of Katy/Cypress know your business and home as well as you do. The more information you add to the profile the better we can get the job done under your criteria. You can give us a profile so detailed that we could clean and restore in the dark. It comes in paper and digital form. Most business/home owners like to have it in digital form on their phones or computers in case of a catastrophic event that could wipe the whole house or building. This is one of many tools and plans that we have set in place to make SERVPRO of Katy/Cypress a one stop shop to help all the wonderful people in our communities. When discussing the reasons of why one should use SERVPRO, many reasons come to mind. For instance, we have over 1,500 franchises nationwide ready to help at all times. We have the feel of a small shop but with the reach and power of a large corporation. This is what make us one of the leading restoration companies in the U.S. SERVPRO has been servicing people in all communities since 1967 and will continue to do so for many years to come. Our office, SERVPRO of Katy/Cypress was established in May of 2001. SERVPRO as a whole really is in a class of its own. We are trusted by hundreds of insurance companies nationwide, while being one of the largest 24 hour nationwide large loss response teams. This was proven to most of the public in September of 2017 when Hurricane Harvey hit. 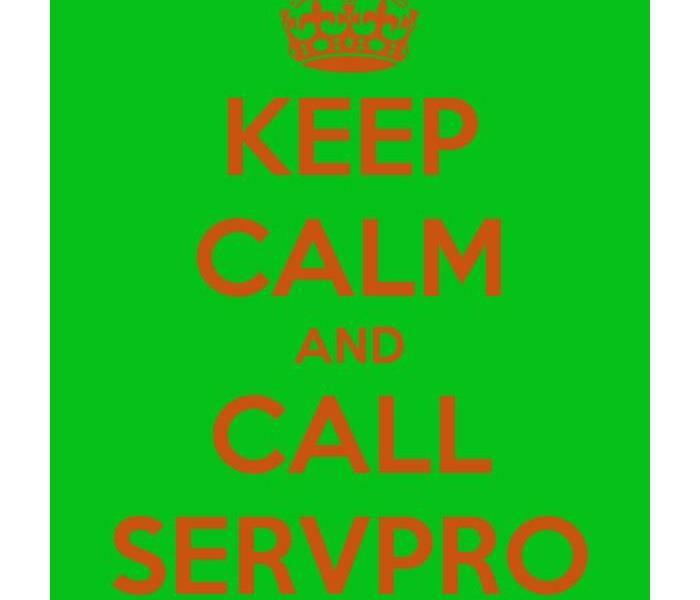 What SERVPRO does and how we do it, is what one can say when asked, why SERVPRO. This is a question that our marketing/sales teams have to answer sometimes when describing services to potential clients. Selling the idea that something unfortunate could happen, can prove be tricky business. Fortunately for SERVPRO representatives and their clients, our services and how we preform them, makes it easy. Beyond fire and water restoration, we also preform mold mitigation and remediation. On top of that we can pack and move contents. We restore those contents before returning them to you in a timely manner. Our expect technicians provide the customer with a detailed contents inventory report. This report provides the customers with accurate information about their contents and what was done to them. We provide many services such as these. You can find a list of services that we perform on our website, and you can also call your neighborhood SERVPRO of Katy/Cypress for any question or concerns. The experts here at SERVPRO of Katy/Cypress take fire restoration very seriously. We understand that a house fire can affect ever part of a person's life. For some, it can feel like they have to start their lives over. The damages caused by a fire can be heavy, to say the least. That's where we come in. SERVPRO that is! We can remove soot and smoke from walls, furniture and floors by using mild soaps or detergents mixed together. Here at SERVPRO of Katy/Cypress our professional technicians know the best cleaning solutions. We have equipment and tools that assist us with the job as well. Learn more on how to clean up after a house fire, including supplies you will need. Contact SERVPRO of Katy/Cypress for all of your restoration need and questions. Cooking normally doesn't present a lot of dangers. You might cut your finger while chopping vegetables or burn yourself on a hot pan. Besides that there is no actual danger to your livelihood or your home. Except for grease fires. Fires caused by grease are probably the most prominent way that fires start in homes. Grease fires happen when your cooking oil becomes too hot. Adding water or wet cold food to hot oil or grease can cause a flare up. This can ignite, and cause damages to your kitchen, as well as your entire home. Using heavy pots with lids when deep frying can help prevent this from happening. Oils won't immediately catch fire once it starts smoking, but smoke is a dangerous sign. Here at SERVPRO of Katy/Cypress, we deal with these kinda issues all the time. Cage your worries and let us at SERVPRO take care of this for you. Electrical fires account for a lot of home fires. If you notice a burning odor or sparks coming from any outlet or switches, turn the power off at the electrical panel. The problem may be a faulty device. It can be a wiring or power overload problem. Burning smells can be a serious issues, because it can indicate the start of an electrical fire. If you smell a burning smell, or rubber smell that is consistent throughout your house, try to isolate the location. You can easily prevent electrical fires in your home, by knowing what to look for. Several discolored or charred outlets and switches is a good indicator. Old outdated wiring, burnt smell or circuit breakers tripping, and sometimes appliances pulling too much electricity on one circuit can cause an issue as well. SERVPRO are the experts in this field. For all of your fire restoration needs please call SERVPRO of Katy/Cypress. Our staff of expects are here to answer any question or concerns about this subject. Here at SERVPRO of Katy/Cypress, we specialize in large commercial jobs. In fact, one could say that the reason why SERVPRO is so good at residential work is because all of us are trained for larger, more fast paced situations. Most of the people in our community would assume that we only do or prefer residential jobs. This couldn't be further from the truth. We here at SERVPRO of Katy/Cypress have the equipment and the man power to handle any large job thrown at us. Our team of certified, highly trained technicians are ready and waiting for any disaster or situation to occur, so we can get your business, back to business. We at SERVPRO know what's important, to our community of business owners. We urge anybody with question or concerns to contact us at SERVPRO of Katy/Cypress. 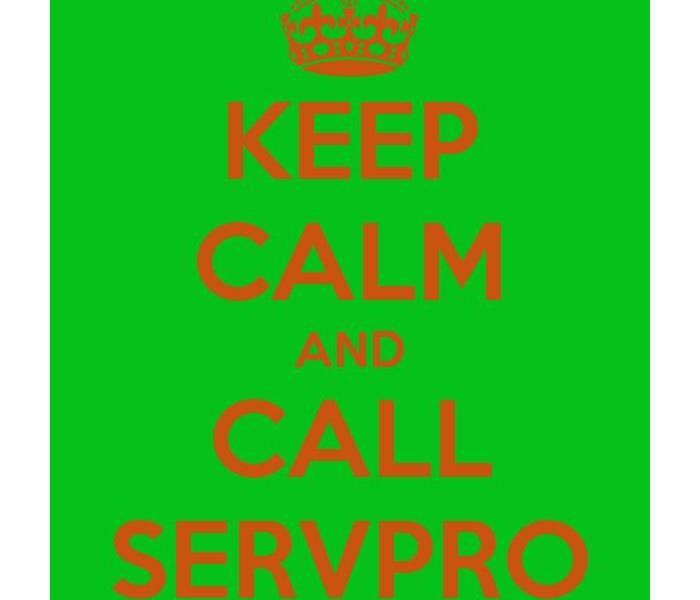 SERVPRO has a policy that we live by. Its the called the One, Four, Eight policy. This means that we will have you contacted by us within an hour, be on site within 4 hours, and have a full scope of services within eight hours. We know that time is key in situations such as these. We use this as a point to help the customer know why we are one of the leading restoration company in the U.S. In most cases of large commercial restoration, we know that the faster we arrive and start work the better chance that business has to come back and thrive in our community. Its important for our community to know how important they are to us. Without their support, we wouldn't be here. so we thank you! Contact us here at SERVPRO of Katy/Cypress for any and all of your commercial needs.